The Master of Laws from Deakin University is a comprehensive course focusing on international commercial law and corporate regulation. Throughout this course, you’ll develop advanced research, analytical, evaluative and communication skills and a fundamental base of knowledge on important areas of the Australian and international legal systems, as well as recent professional practice developments. You’ll cover new developments in major areas of human activity (internet technology, health, financial services), and increased regulation in traditional areas (natural resources, dispute resolution, human rights). Delivered online or on-campus in Melbourne, this course consists of 4 core units and 4 elective units. Your study will lead to completion of a significant independent research project that culminates in a major creative work and exegesis. an LLB or equivalent in the same discipline leading to admission to practice and two years relevant work experience. 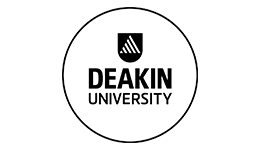 Upon successful completion of this course you will receive a Master of Laws from Deakin University. Graduates are prepared to pursue leadership roles in a variety of legal settings, both local and international.